NZD continues to consolidate against US dollar. The nearest support level is at 0.7080. According to analysts, the demand is caused by the strengthening of oil. This year its price exceeded $67 per barrel in view of mass protests in Iran and explosion of a pipeline in Libya. Today special attention should be paid to the minutes of FOMC meeting. Stochastic is at 48 points and does not give any signals for the opening of the deal. 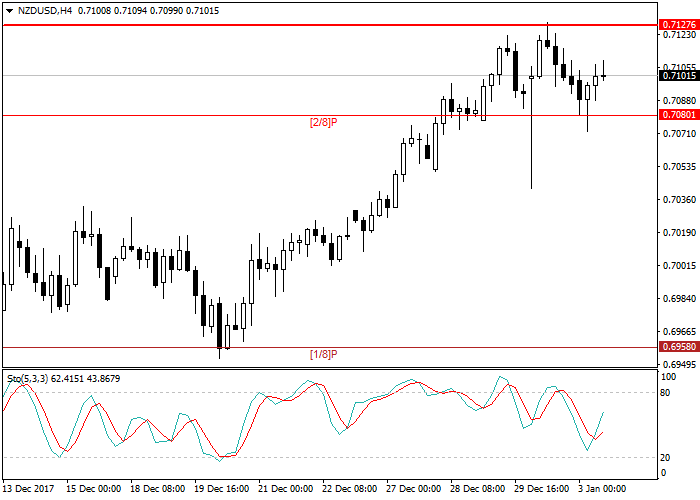 Long positions may be opened at the current price with target at 0.7156 and stop-loss at 0.7075.